Today’s photo:Low light under the bridge. 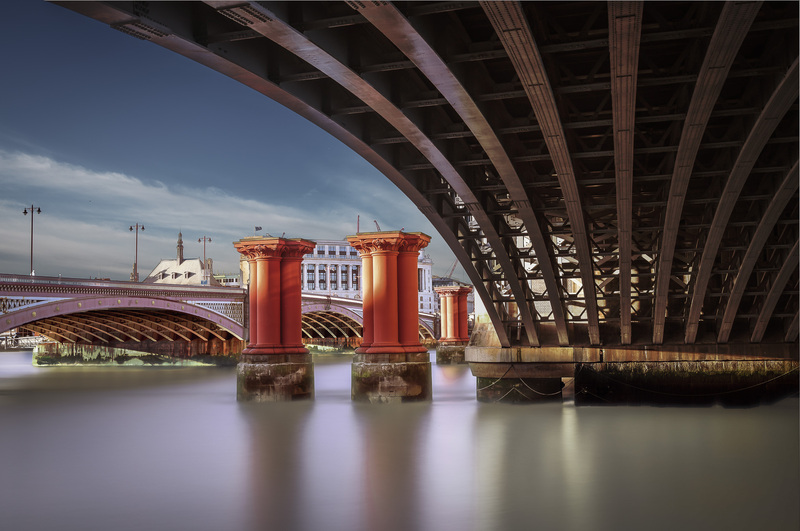 An early evening shot, with light coming in almost horizontally into the arches of London’s Blackfriar’s railway bridge, with the piers of the old bridge showing on the left. This was the first LE shot with my new D750, taken in February 2015. It was a 4 minute shot, with 16 stops of ND applied.